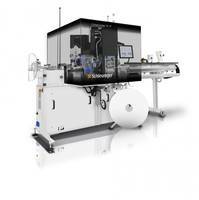 The CoaxStrip 6480 Stripping Machine is designed to process coax cables with outer diameters of 1.2 to 12 mm. The machine is embedded with programming control software that calculates the processing parameters automatically based on the raw material data and the stored library. It features a touchscreen that provides user-friendly interface. The machine is equipped with three-blade stripping head and provides quality monitoring such as cable diameter verification. The new CoaxStrip 6480 stripping machine increases production by an average of 15 percent, reduces your operating costs and guarantees high processing flexibility and quality. 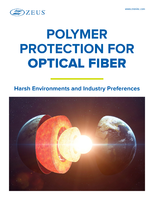 The ability to process coaxial cables with outer diameters of 1.2 to 12 millimeters makes it a perfect all-rounder for almost any production need. 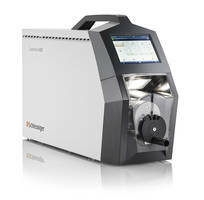 Schleuniger’s CoaxStrip 6480 is equipped with "cable end detection" and "cable diameter verification" for high-precision processing. Schleuniger is proud to present another highlight for the end of the year: The CoaxStrip 6480, semi-automatic stripping machine, processes coaxial cables with an outer diameter of 1.2 to 12 millimeters, offers unique processing functions and helps you reduce your operating costs. With its simplified programming, high-performance control software, and high production performance, the CoaxStrip 6480 is the perfect solution for almost any production need. The new CoaxStrip 6480 will not only win over long-time employees with its intuitive and powerful control software, but even occasional machine operators will be impressed: Never before has the programming of a semiautomatic stripping machine been so simple. The processing parameters are automatically calculated based on the raw material data, and the stored libraries even contain presettings for conductor cross-sections, which are displayed in both square millimeters and AWG. In addition, the raw material data of the most common coaxial cables are stored in the library from the very beginning. 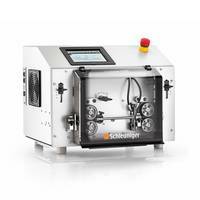 Like all Schleuniger automatic Cut & Strip machines, the new CoaxStrip 6480 is controlled by the S.ON software. This means that operators who are already familiar with Schleuniger products will find the same interface on all machines, reducing the amount of required training. 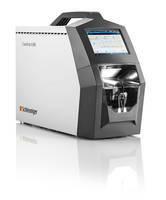 In addition, the high-resolution color touchscreen offers an intuitive, modern and user-friendly interface. 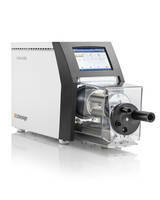 More information about this new product can be found at www.schleuniger.com. 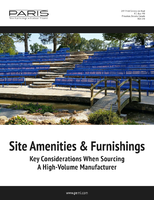 Should you have any questions, please e-mail sales@schleuniger.com or call (603) 668-8117. The Schleuniger Group in Thun is a globally active technology company and a leading supplier to the wire processing industry. With its wholly-owned and independently managed company, DiIT, Schleuniger is also a leading player in digitalization and industrial IoT. Most of the Schleuniger Group's customers are suppliers to the automotive, entertainment and information industries, as well as to the communications sector. Schleuniger’s products are used wherever precise connections and highest productivity are required. The company has development and production locations in Switzerland, Germany and China. With a network of sales and service companies in North America, Europe and Asia and more than 40 distribution partners worldwide, Schleuniger is always close to its customers. The Schleuniger Group represents the wire processing business segment of the publicly listed Metall Zug Gruppe and has more than 900 employees and 40 apprentices worldwide.